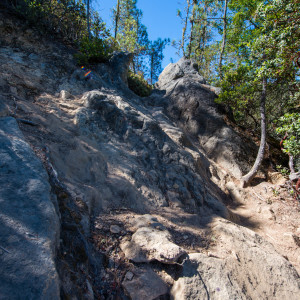 A scenic climb out of Big Basin onto a rock formation. 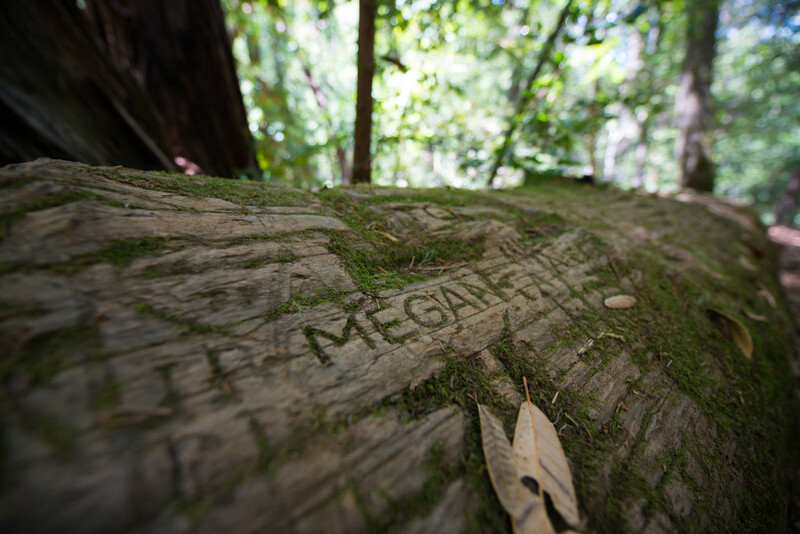 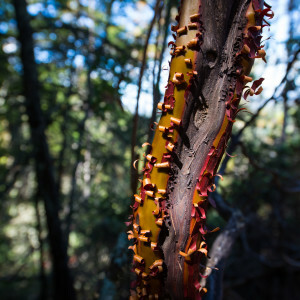 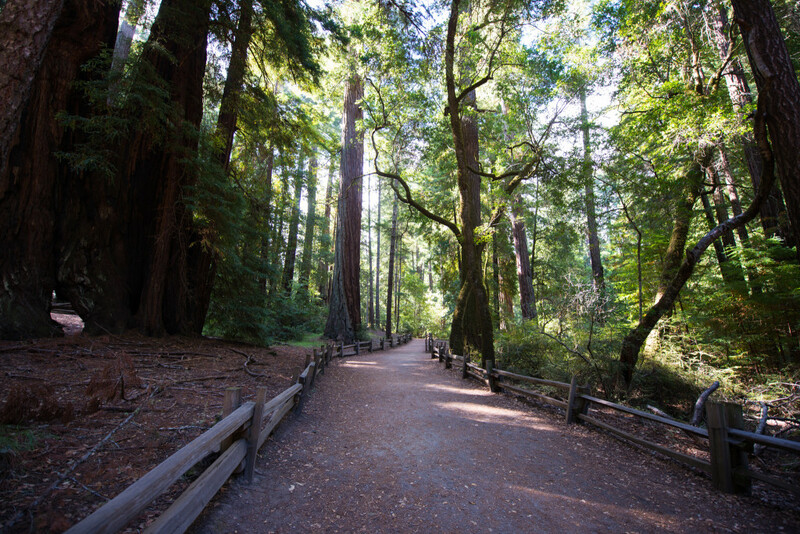 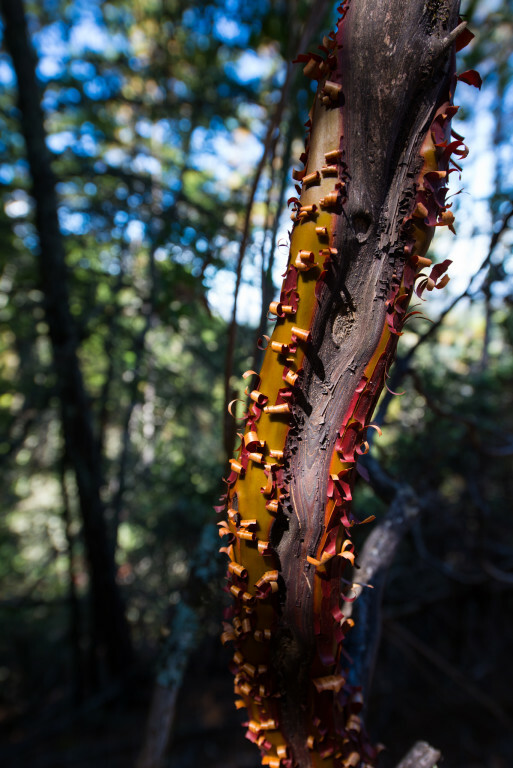 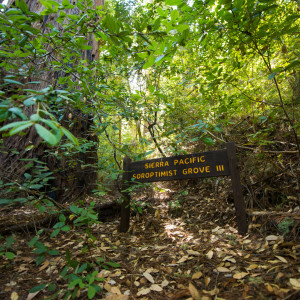 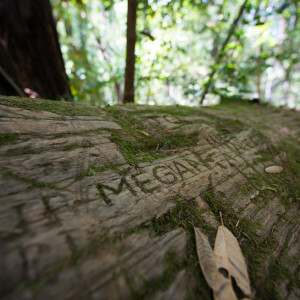 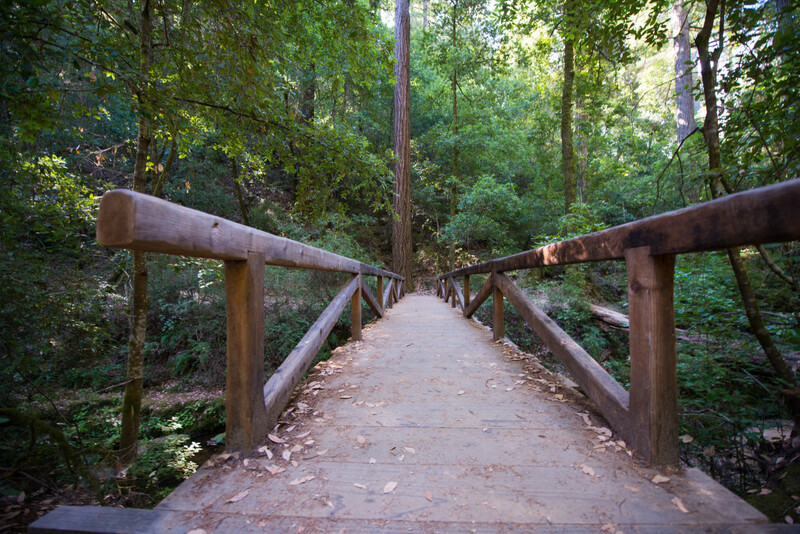 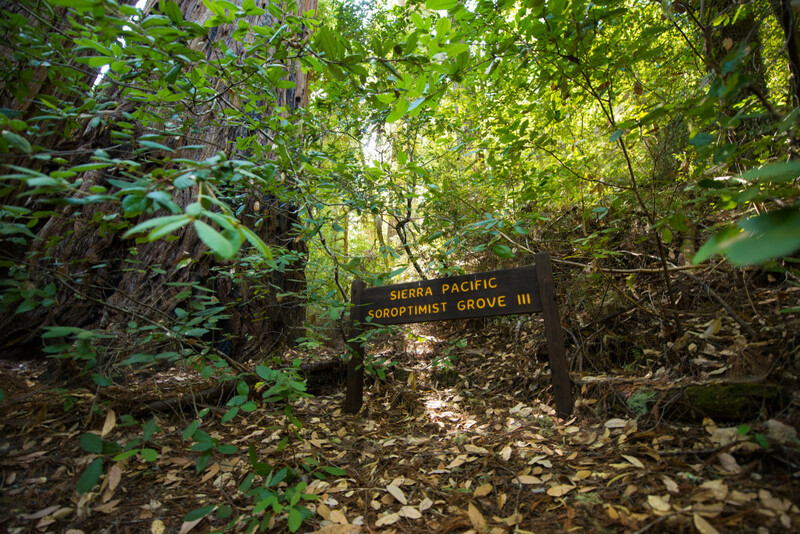 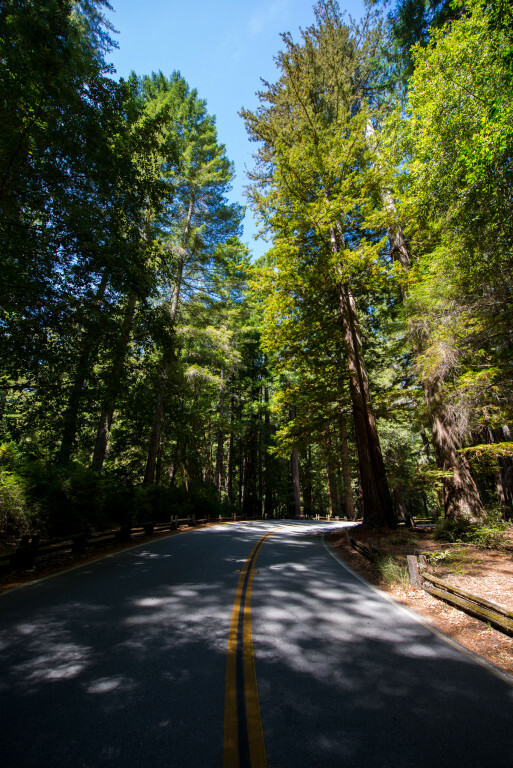 Starting at the main Big Basin visitor's area, you wind your way up a path full of old-growth redwoods. 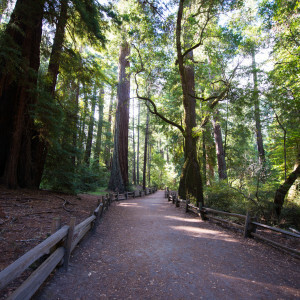 The trail is fairly quiet, even on a busy weekend morning. 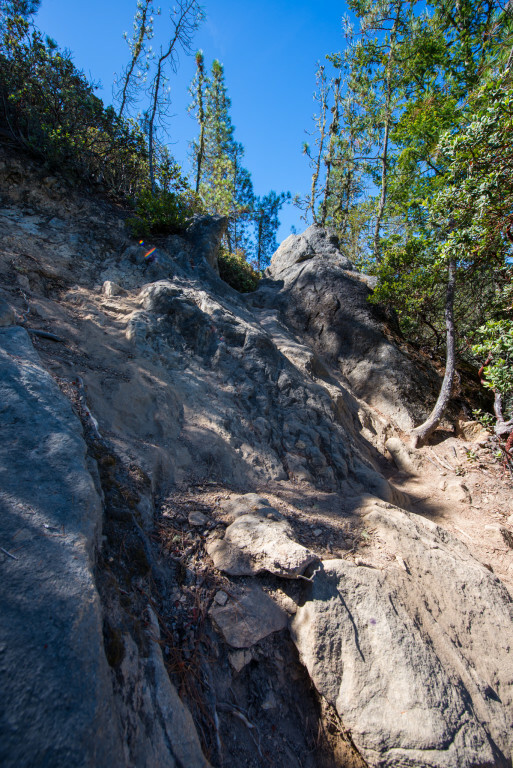 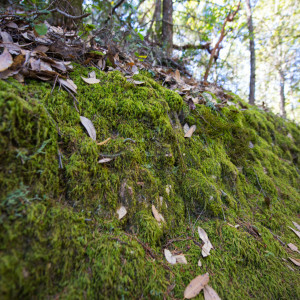 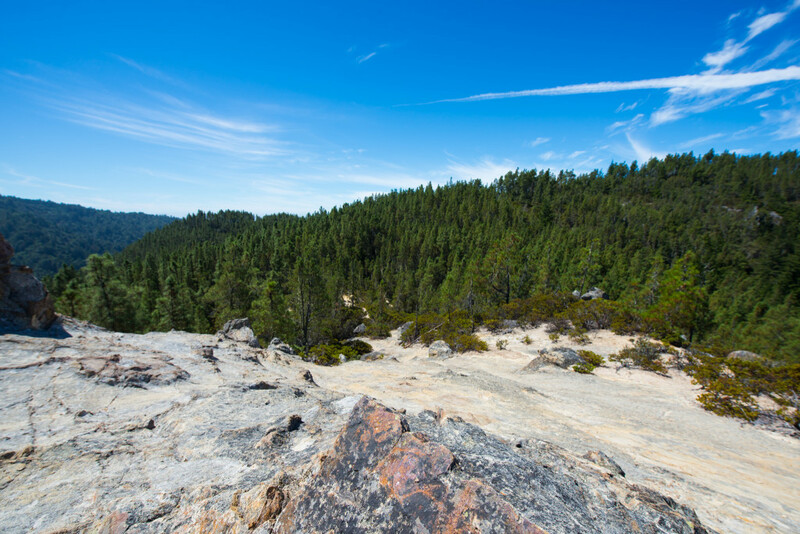 Towards the summit, there will be a few areas where you'll have to scramble up and through large granite rocks. 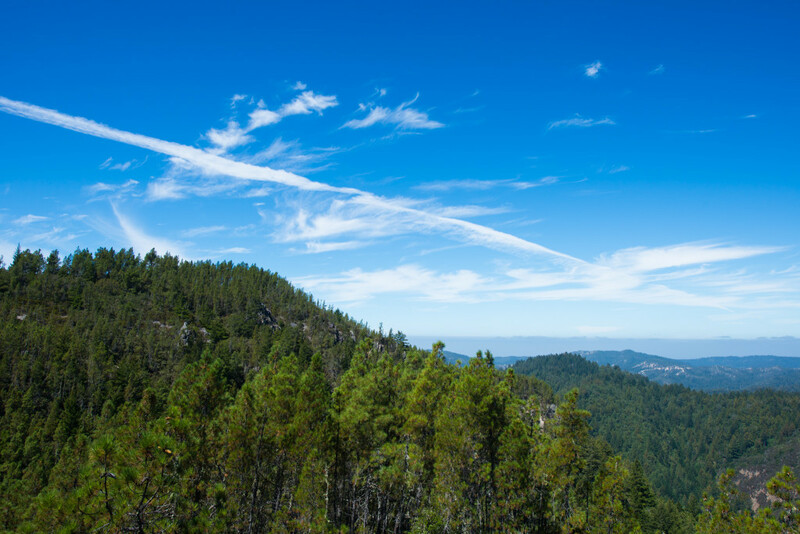 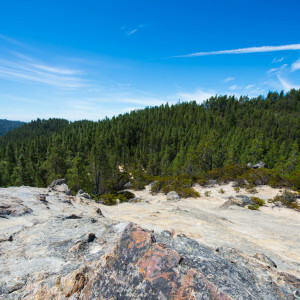 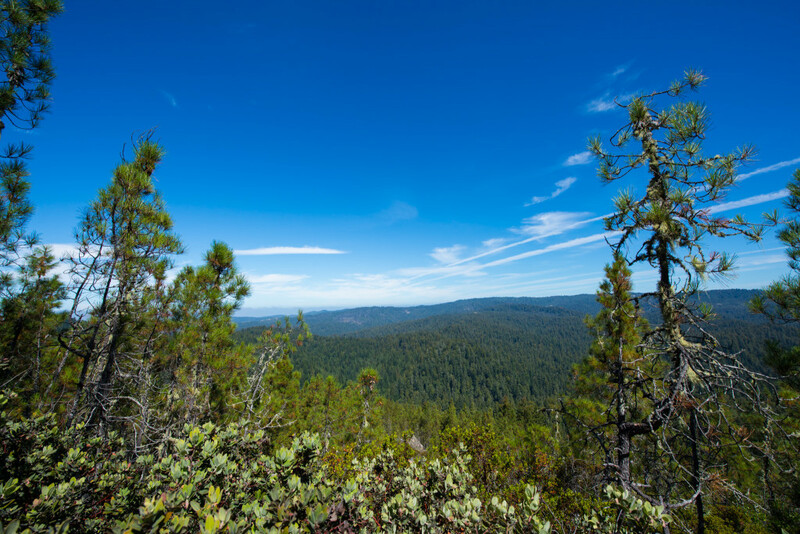 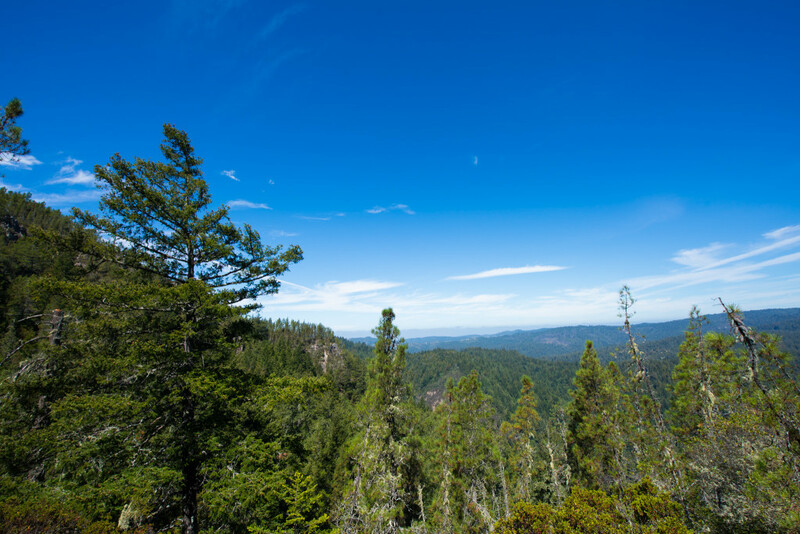 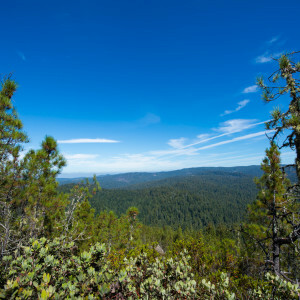 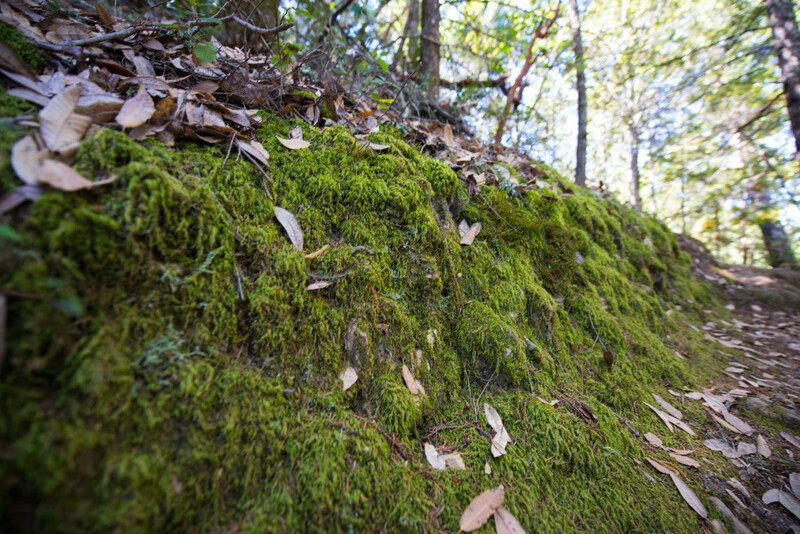 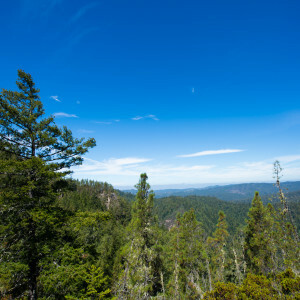 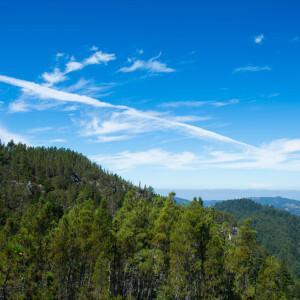 The final trek to the vista point is walking on bare rock, and the view at the top is extremely rewarding - with 360-degree views of the Santa Cruz mountains. 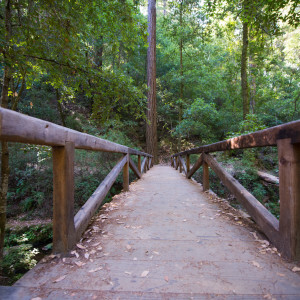 Walk along the main access road until you get to a fork in the road - you'll see a small footbridge with trail signs. 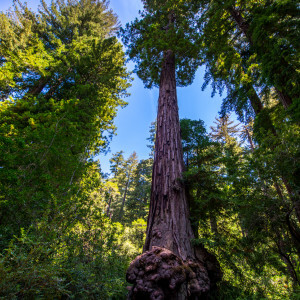 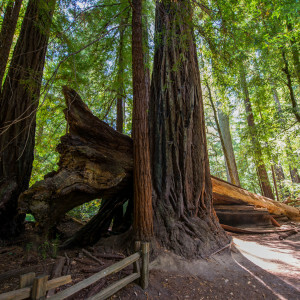 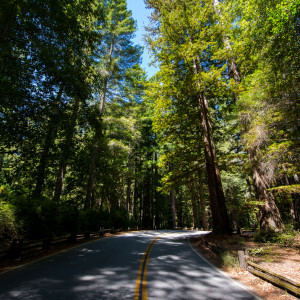 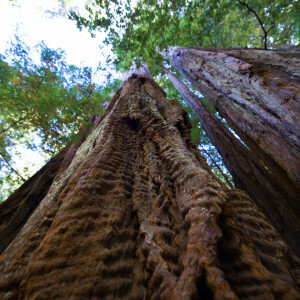 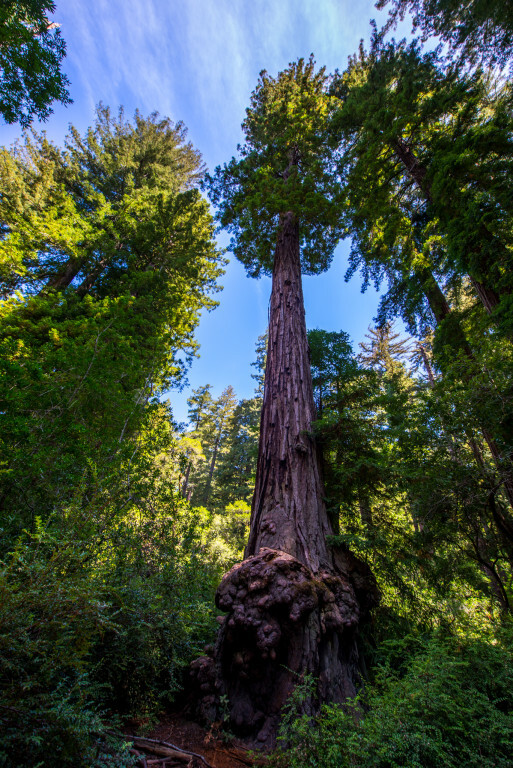 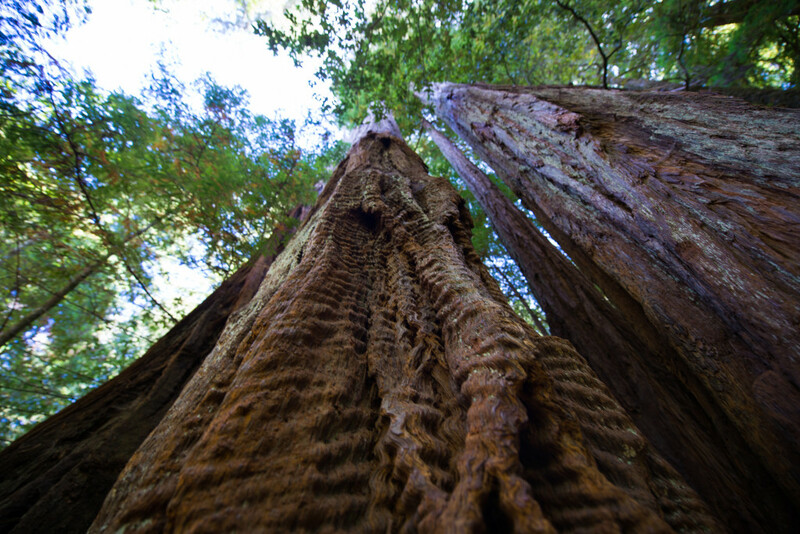 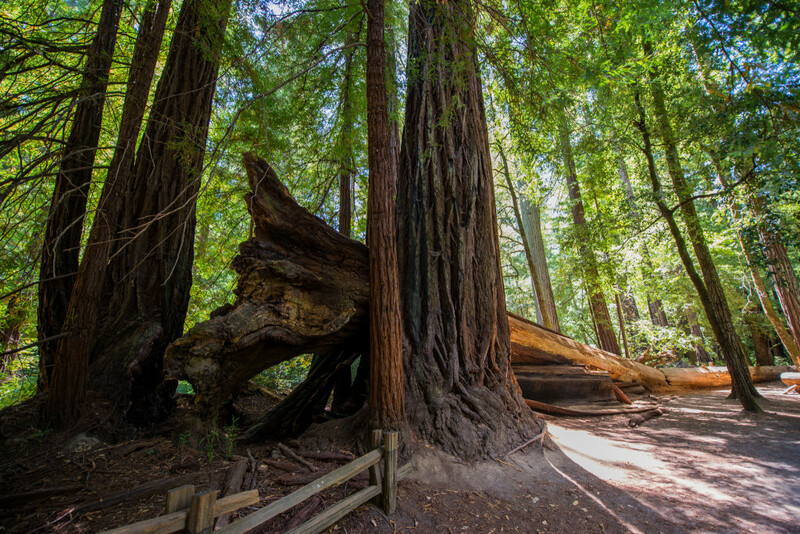 Consider taking a left detour into the Redwood Loop Trail (right before the end of the trail, near the visitor's center) for some stunning views of the giant redwoods.